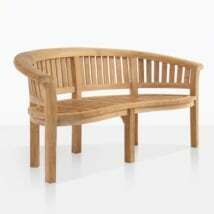 This gorgeous a-grade teak relaxing chair integrates geometric lines with ergonomically rounded pieces for comfort. 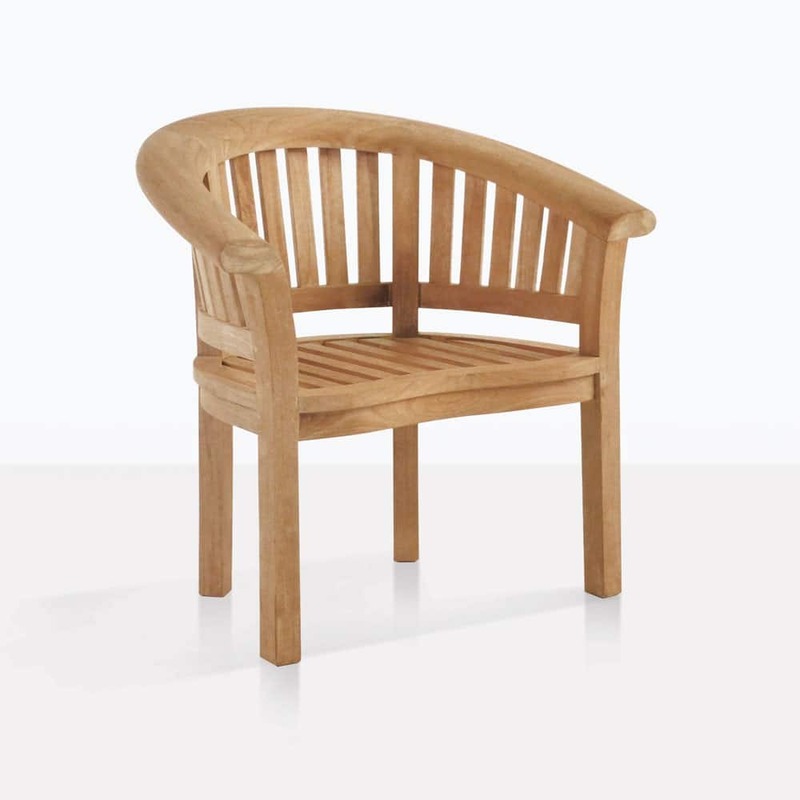 The Monet Teak Relaxing Chair will go beautifully in your garden or on your patio. If you are looking for a truly classic teak chair, then this one will not disappoint. 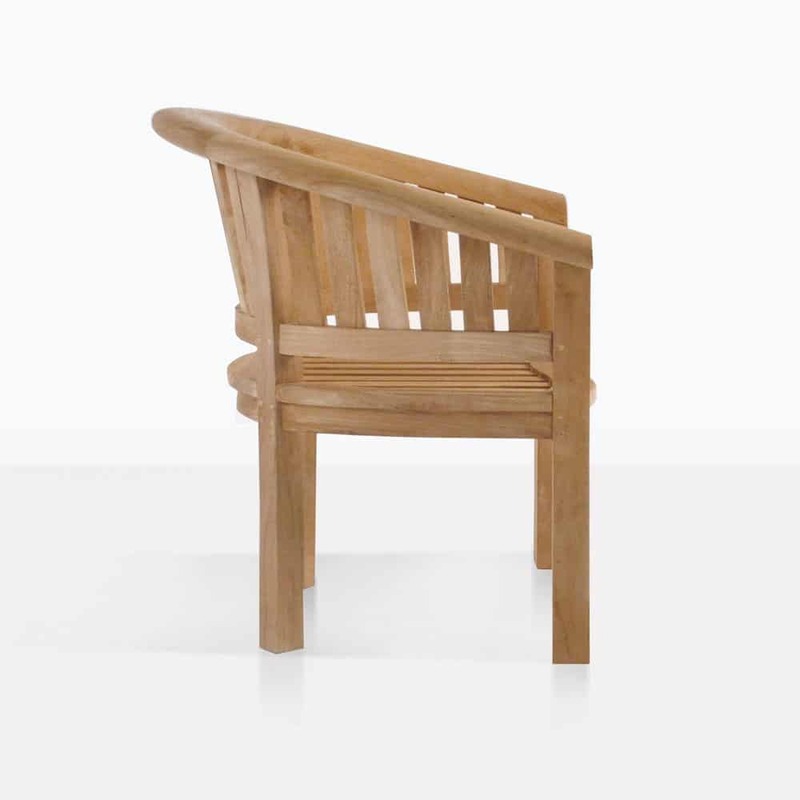 This chair is made with the highest quality construction and of course a-grade teak. 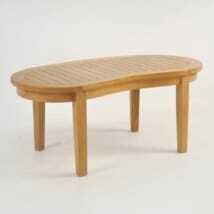 It is imperative to know the grade of your teak when purchasing teak outdoor furniture. Over time this chair will patina to an elegant soft grey. It is the perfect chair to admire your rose garden in. 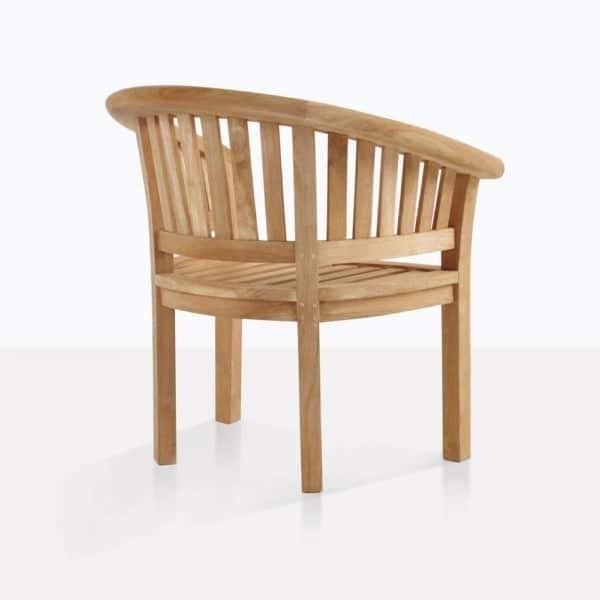 We have many different styles of relaxing chairs available and they all come fully assembled. W32" x D25" x H34"